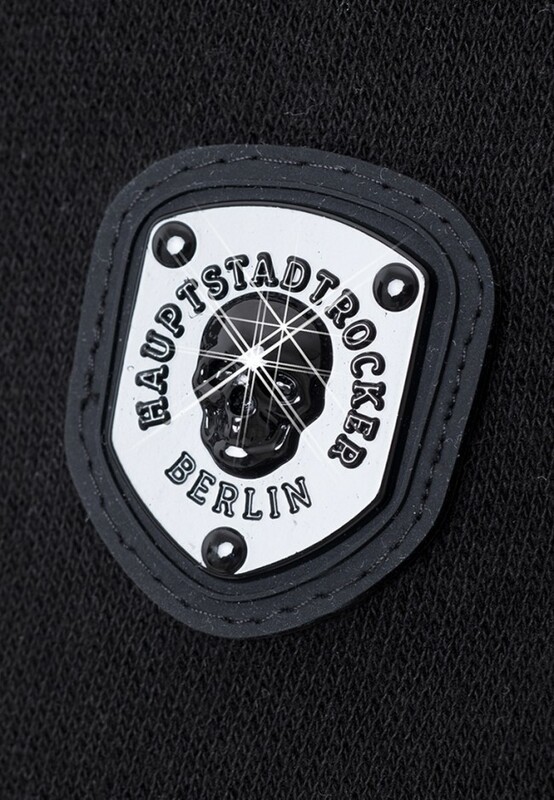 HAUPTSTADTROCKER - for those about to rock Berlin! 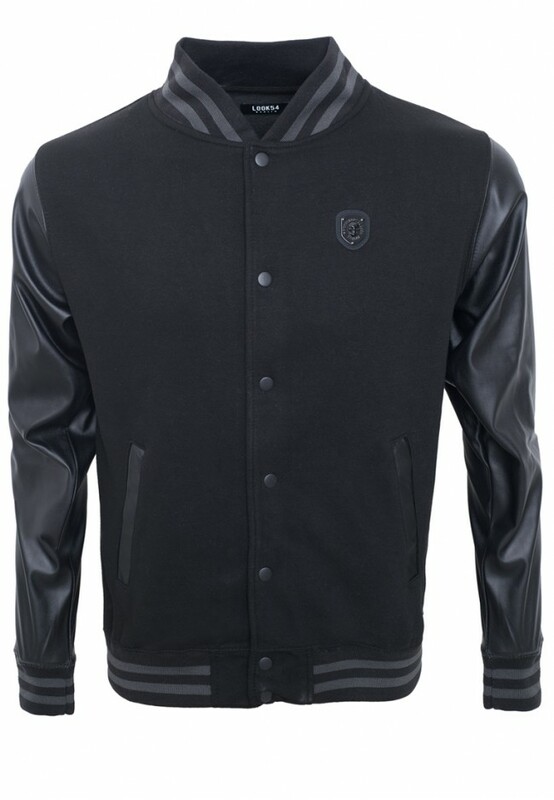 Fashionable college jacket with a short ribbed stand-up collar and snap fastener. 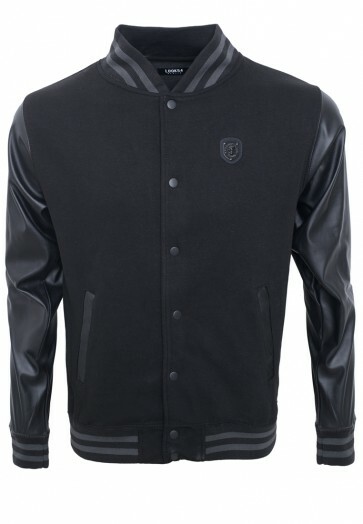 The sleeves and side pockets are made of soft artificial leather. 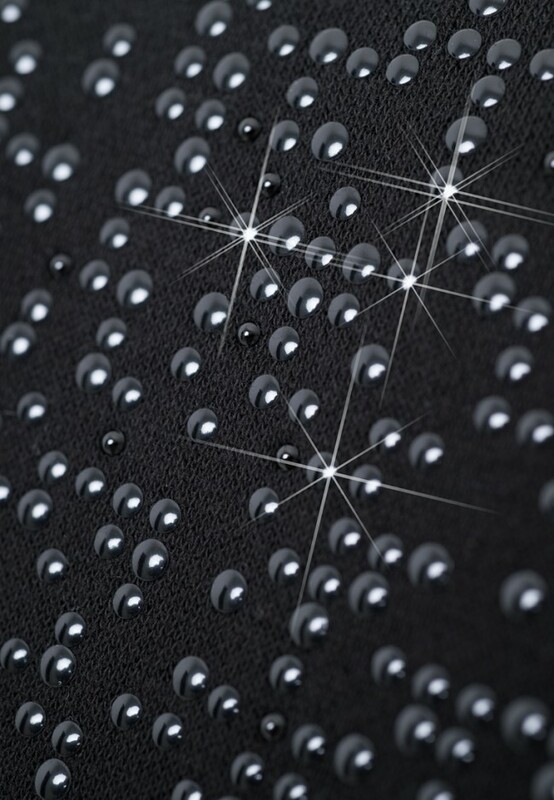 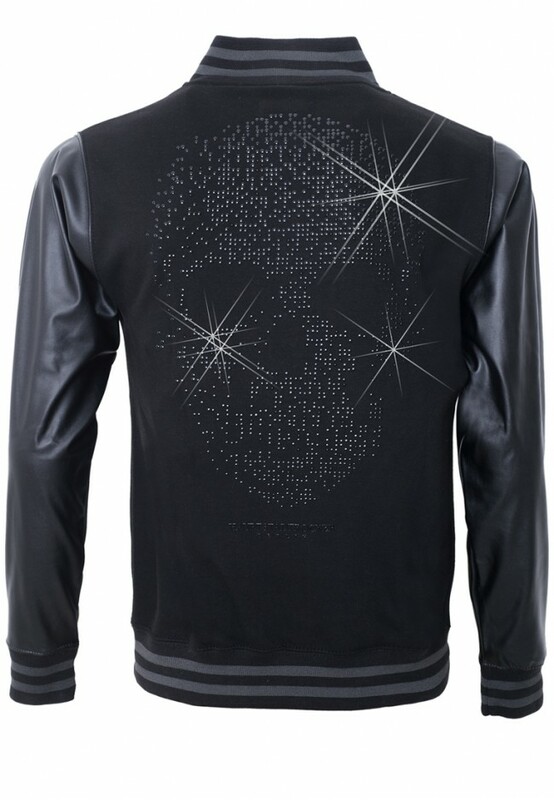 The huge Death's Head on the backside is completely made of black laquered rivets from Swarovski®. 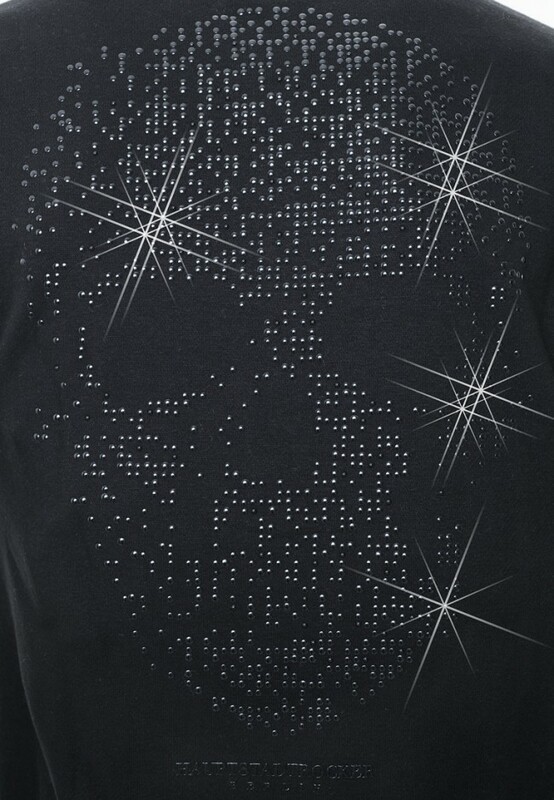 Additional eye-catcher is the frontside Death's Head piano laquer patch.